R.G. Cowan (Glen), P.Eng. of K.E.Spencer Memorial Home, passed away peacefully on Sunday, July 19, 2015. Born in Saint John on June 27, 1927, he was predeceased by his wife of 63 years Freda, and his father Ralph and mother Ethel. Glen is survived by and will be missed by two sisters, Audrey Cowan and Lois Shields of Halifax; sons, Robert (Susan), John, Andrew (Carol), David; daughters Nancy Fitch (Bruce) and Ruth; grandchildren, Geoff (Juanita), Scott (Diane), Nathalie, Andrea, David (Abby), Colin, Chris, Ben, Lauren, Lucas, Jenna, Kristin (Steve), Amanda, Beverly and great grandchildren, Robyn, Graeme, Luca, Andrew, Brody, Sam, Ellie, Isaac and Anna. Glen is also survived by sister and brother-in-law, Chrystal and John Emmerson; sister-in-law, Audrey Cann and sister and brother-in-law, Bonnie and Fred Smith. He will also be sadly missed by many nieces and nephews. Glen was a graduate of Dalhousie University and the Nova Scotia Technical School and a retired consulting engineer involved in the design of over 1500 building projects. Glen was a founding member of the NB Chapter of the American Society of Heating Refrigeration and Air Conditioning Engineers and a life member of the NB Association of Professional Engineers and Geoscientists. He was a member and Treasurer of Trinity United Church in Gunningsville, and for the past 20 years, a member of First Baptist Church of Moncton where he served as a board member for many years. 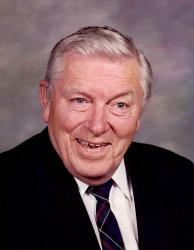 In his retirement years, Glen enjoyed being a member of the Greater Moncton Probus Club. In his early years, Glen was Chairman of the fire wards for the Parish of Coverdale. Glen was a proud independent businessman and enjoyed an engineering career that spanned over 5 decades and was a key member of a number of successful engineering firms. In his retirement he enjoyed many years of travel with his wife and family to Long Boat Key, Florida and also toured all of Europe. Glen and Freda spent many wonderful years in retirement along the Washademoak Lake in Codys, NB, entertaining family and friends. The family would like to thank the staff of Spencer Memorial Home and nurses of Floor 3400 of the Moncton Hospital for their loving care of our dear father. As per Glen's wishes, there will be no visitation. A Celebration of Life Service for Glen will be held at First Baptist Church, 157 Queen St., Moncton on Thursday, July 23, 2015 at 11:00 am, with Rev. Dr. J. Richard Jackson officiating. Reception following the service in the church hall. Interment to be held in Alderwood Cemetery, Riverview. Arrangements entrusted to Fergusons Funeral Home, 1657 Mountain Road, Moncton (858-1995).